New Bible translations in 18 languages spoken by 15 million people were published by Bible Societies and their partners in 2013. 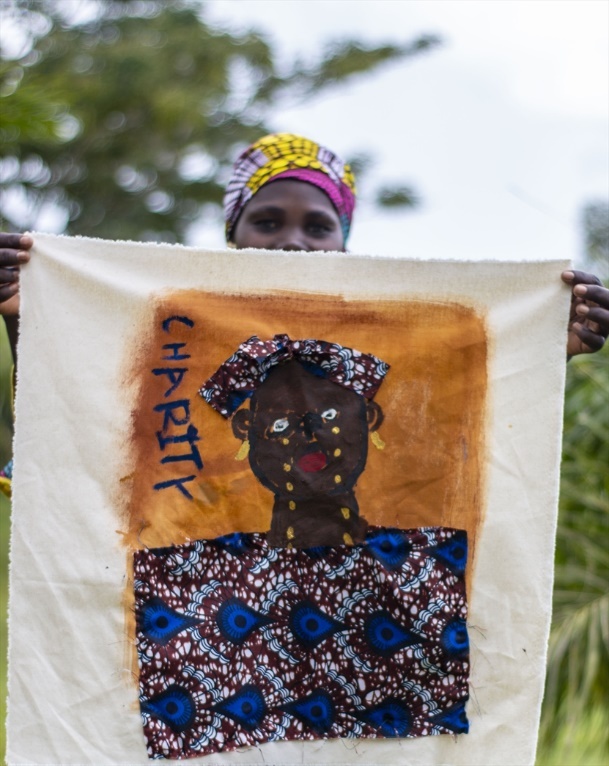 This is one of the highlights of the United Bible Societies’ Global Scripture Access Report, which has just been released. 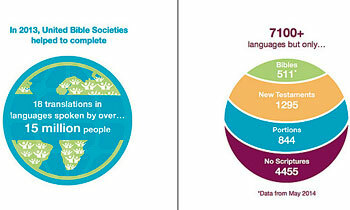 The report, produced annually, keeps track of Bible Society translation projects and the rapidly increasing availability of Scriptures through the United Bible Societies’ Digital Bible Library ® – one of the world’s largest collections of digitised Scriptures with over 600 languages spoken by over 4 billion people. Last year’s launches – most of them full Bibles – included 10 first-time translations, giving more than 4 million people the potential to access Scripture (or more Scripture) in their heart language for the first time. Seven of the first-time translations were full Bibles. Eight languages received new or updated translations to help modern-day speakers connect with God’s Word more easily. Some 511 languages now have a full Bible. Nearly 1,300 languages have the New Testament and over 800 have some portion of Scripture. More than 4,000 languages still have no Scripture at all. United Bible Societies prioritises the translation of the full Bible and has provided around three-quarters of the world’s Bibles. Last year it initiated the ‘100 Bibles in 1000 days’ campaign to see 100 translations completed by the end of 2015. Significant progress has been made with more than half completing the translation stage, with 15 already published and 43 in printing or pre-production. The 100 languages are spoken by 500 million people. “It is so encouraging to see the great strides being made in translating Scripture into more languages and in making it increasingly accessible.” notes Alexander Schweitzer, Head of United Bible Societies Global Bible Translation.